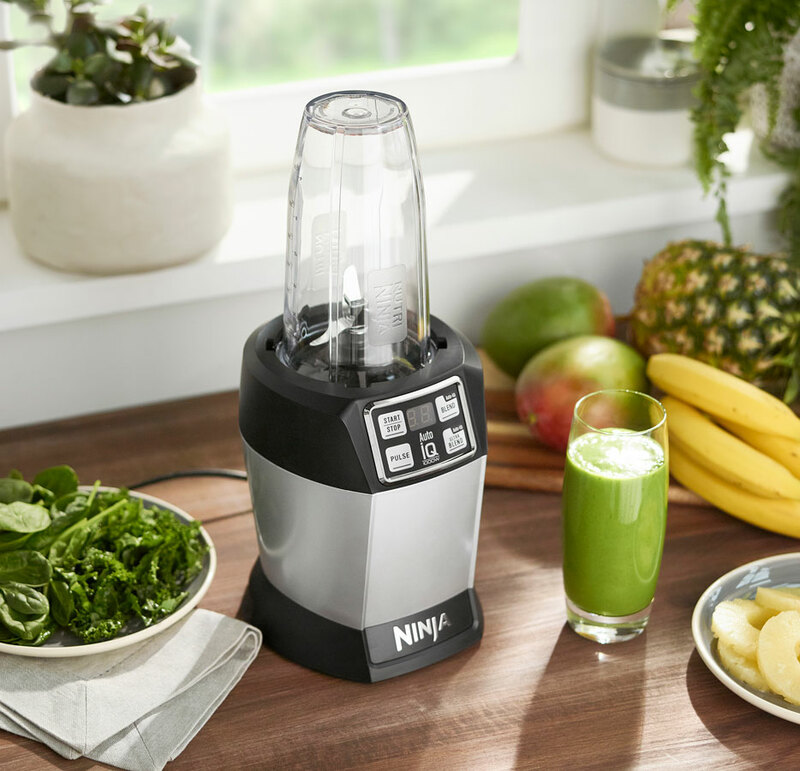 At the touch of a single button, you can create super-smooth, great-tasting cold drinks and smoothies containing all the vitamins and nutrients found in your favourite fruits, vegetables, nuts and seeds. Packed with quick and easy recipes, there’s even an Inspiration Guide included in the box. Nutri Ninja Blender & Smoothie Maker with Auto-iQ 1000W – BL480UK – Silver has been added to your basket! 1000 watts of power drive the Patented Pro Extractor Blades to rotate at an incredible 20,000RPM, leaving you with deliciously smooth drinks exactly how you like them. Exclusive to Ninja, simply press one button and let Auto-iQ’s pre-set programmes do the work for you. Unique pulse, pause and blend patterns are tailored to deliver the best results, taking all of the guesswork out of drinks and smoothie making. It takes seconds to create great tasting drinks and smoothies. Enjoy delicious drinks and smoothies containing all the vitamins and nutrients from your favourite fruits, vegetables, nuts and seeds. With no waste, you’ll get out 100% of the valuable nutrition that you put in. 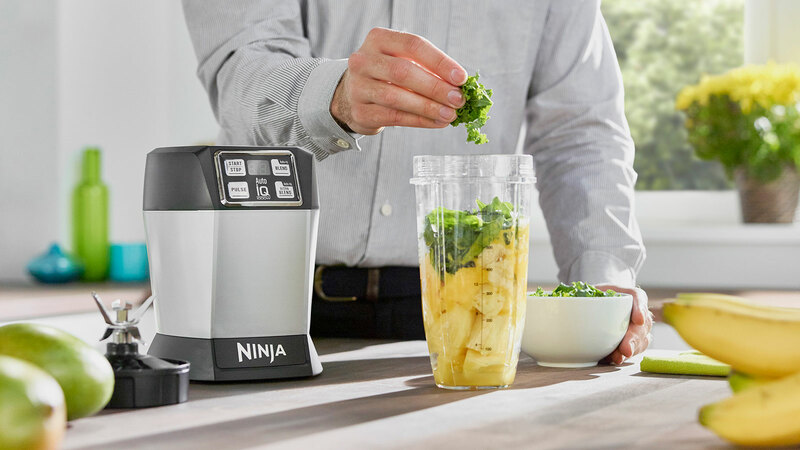 With Nutri Ninja it takes just seconds to create cool, smooth, great-tasting drinks and smoothies. Simply press a single button and let Auto-iQ do the work for you. Created by Ninja, this unique technology is pre-programmed with unique pulse and pause patterns designed to take the guesswork out of blending. 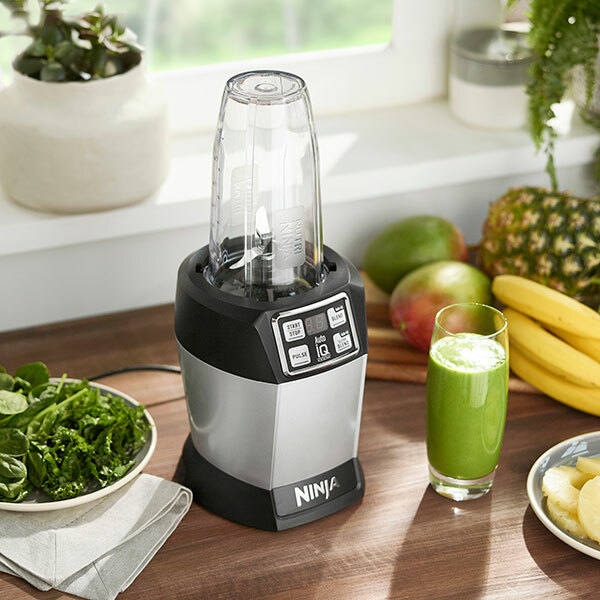 With an incredible 1000-watt motor and patented Pro Extractor Blades, no ingredient is left unblended, blitzing whole fruits and vegetables, nuts, seeds, frozen fruit and even crushing ice. Best of all, there’s no waste. Unlike some juicers which leave nutritious fibre behind, the Nutri Ninja with Auto-iQ extracts 100% of the valuable nutrition and vitamins from the ingredients you put in. Cleaning is a breeze, just rinse under the tap or place in your dishwasher. In a hurry? Not a problem. 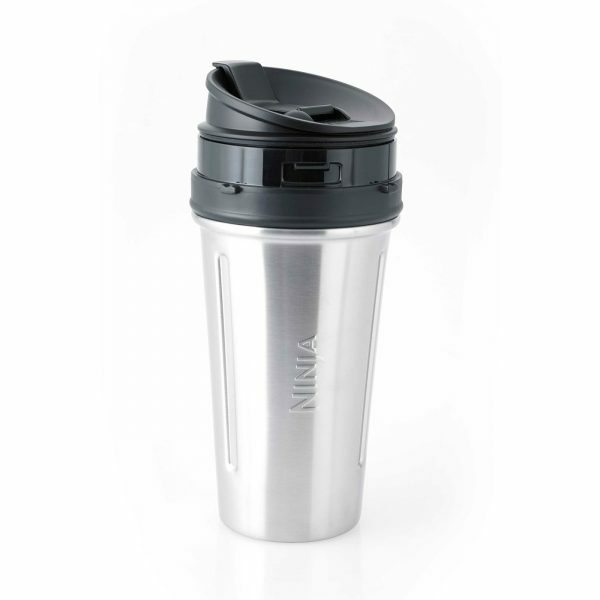 Simply pop on the handy Spout lid to enjoy your delicious drink on-the-go. It’s easy, it’s quick, it’s delicious. But don’t just take our word for it, read our amazing reviews below. Sometimes the clock counts up, other times it counts down? All of our Auto-iQ programs are timed to finish on their own so you don’t have to stand there and watch to make sure your results come out great. Our speeds however (low, med, hi) will start counting from 0 and count up until the auto-shut off is reached. 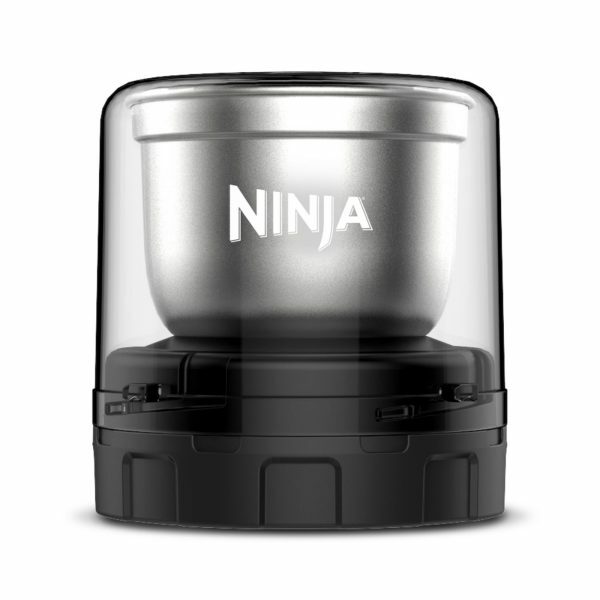 Why do I get a flashing “ERR” message on the display with my Nutri Ninja® cup? 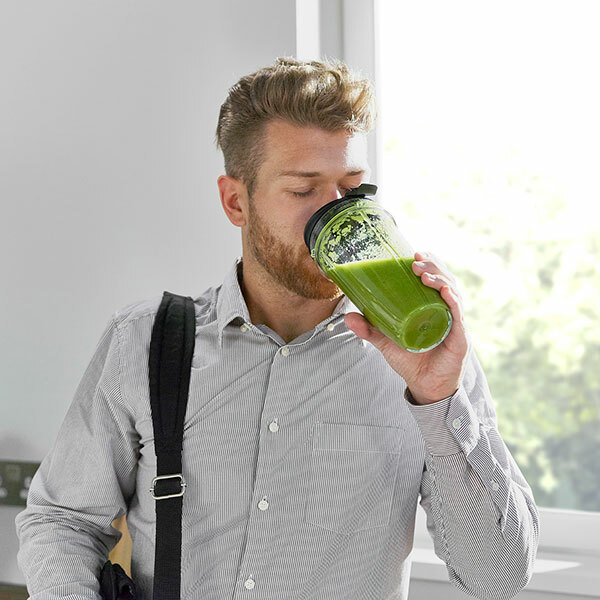 With your Nutri Ninja® cup there is a safety feature that after you run 3 consecutive times without removing the cup from the base the blender will shut off and you will have to unplug your unit and wait 15 minutes to be able to use it again. Why do certain programs not work? The programs were designed to give you the best results for the jar you are working with. As such not all the programs work on all the jars. 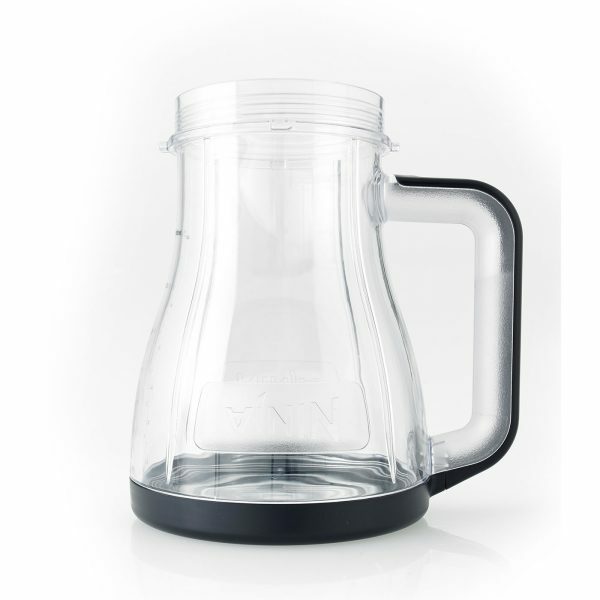 For example, the stacked blades in our pitcher are best for crushing ice, so the frozen drink button is not available on our food processor because your results simply wouldn’t be as good. Unit is difficult to remove from counter for storage. Tip unit forward from the back to easily disengage the suction feet. Unit moves on counter while blending. Make sure the surface as well as the feet of the unit are clean and dry. Doesn’t mix well, food gets stuck. Using the Auto-iQ™ programs is the easiest way to achieve great results. The pulses and pauses allow the food to settle towards the blade. If food is routinely getting stuck adding some liquid will usually help. When packing the cups, start with fresh items, then powders/nuts. Add liquids, and finally frozen items or ice. Food is not evenly chopped. For best results when chopping, make sure all ingredients are as dry as possible. Cut pieces down to even sizes, and reduce the amount of food in the cup. Use very short pulses by quickly pressing the “PULSE” button. Lid/blade assembly hard to assemble. Set the cup on a level surface. Place the lid or blade assembly on the top of the cup and align the threads so that the lid/blades sit flat on the cup. 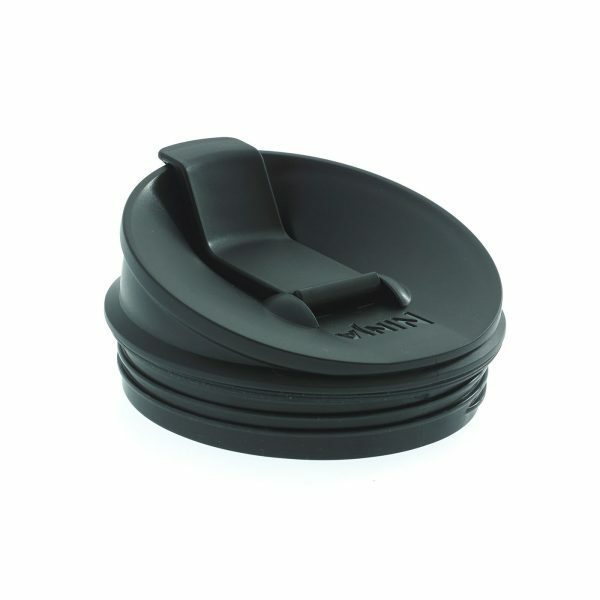 Twist clockwise so that the lid/blades evenly align to the cup until you have a tight seal. My motor turns on, but why doesn’t the blade rotate? Why does the unit not run when the timer is lit and I press a button? The unit may be overheated. As a safety feature, the motor will automatically shut off if it becomes too warm during heavy loads. Unplug the unit from the wall and wait 15 minutes before using again. For troubleshooting and assembly tips at any time, refer to the Instruction Booklet which can be found in the packaging of your unit. What if my Nutri Ninja® Personal Blender with Auto-iQ® will not turn on? 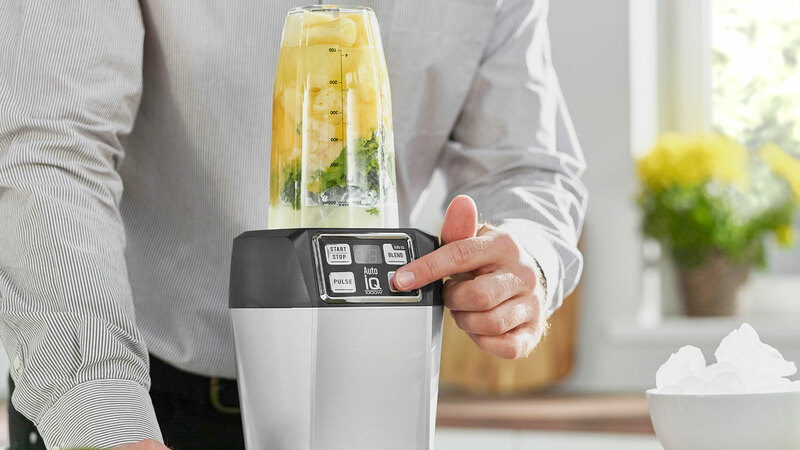 Be sure your Nutri Ninja® Personal Blender with Auto-iQ® is assembled correctly and plugged in. The cup must be turned clockwise to lock into place. Once the cup is locked onto the base, the timer will illuminate. Press one of the buttons to activate. How fast do the blades spin? With 1000 watts of power, the Pro Extractor Blades™ can spin at 21,000 RPMs! 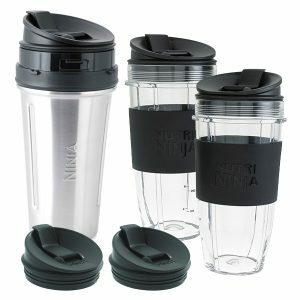 Do the Nutri Ninja® cups fit in car cup holders? 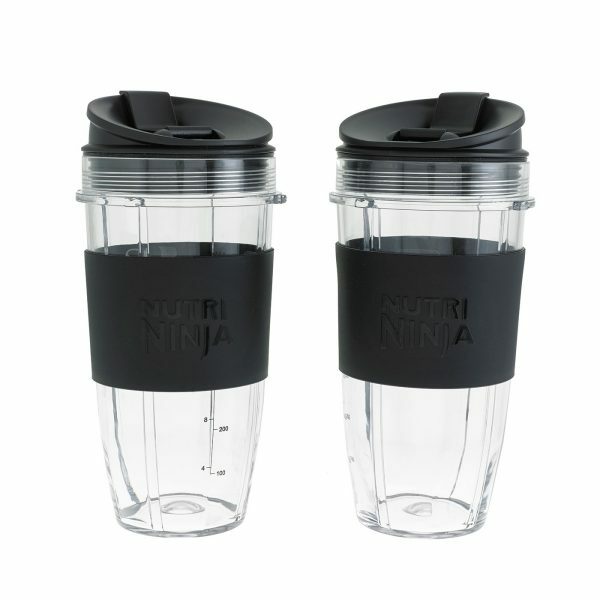 The Nutri Ninja® cups are designed to be taken on the go and fit in most standard car cup holders. 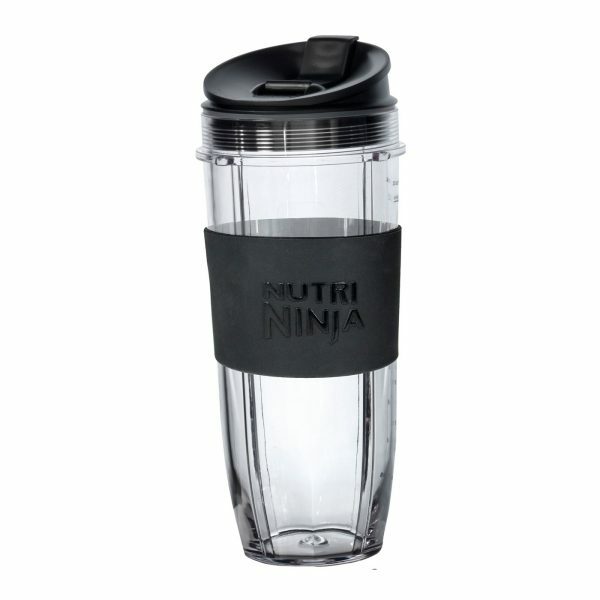 The Nutri Ninja® Cups are made from Eastman Tritan™—an extremely durable BPA-free plastic. What is the difference between Blend and Ultra Blend? 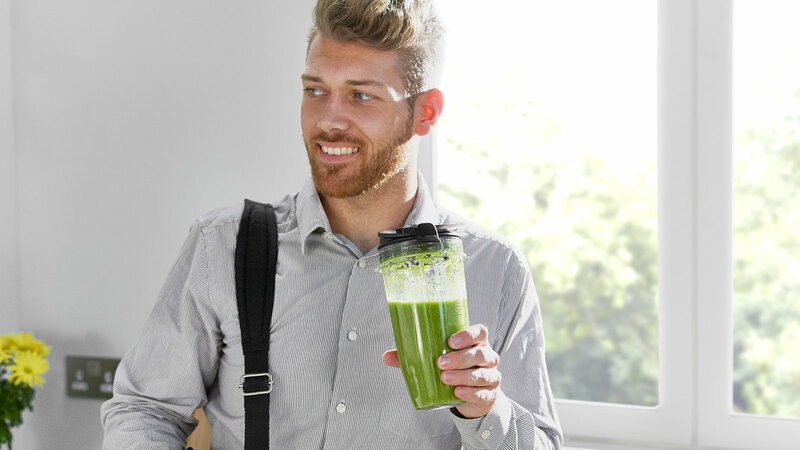 Auto-iQ™ Nutri Ninja® Blend and Auto-iQ™ Nutri Ninja® Ultra Blend have been designed specifically for use with the Nutri Ninja® Cups. Blend is a shorter program perfect when using ingredients such as fresh fruit, leafy greens such as spinach, or yogurt. Ultra Blend is slightly longer program designed for breaking down tougher ingredients such as frozen fruit, ice, kale, seeds, and nuts. How many watts is the motor? 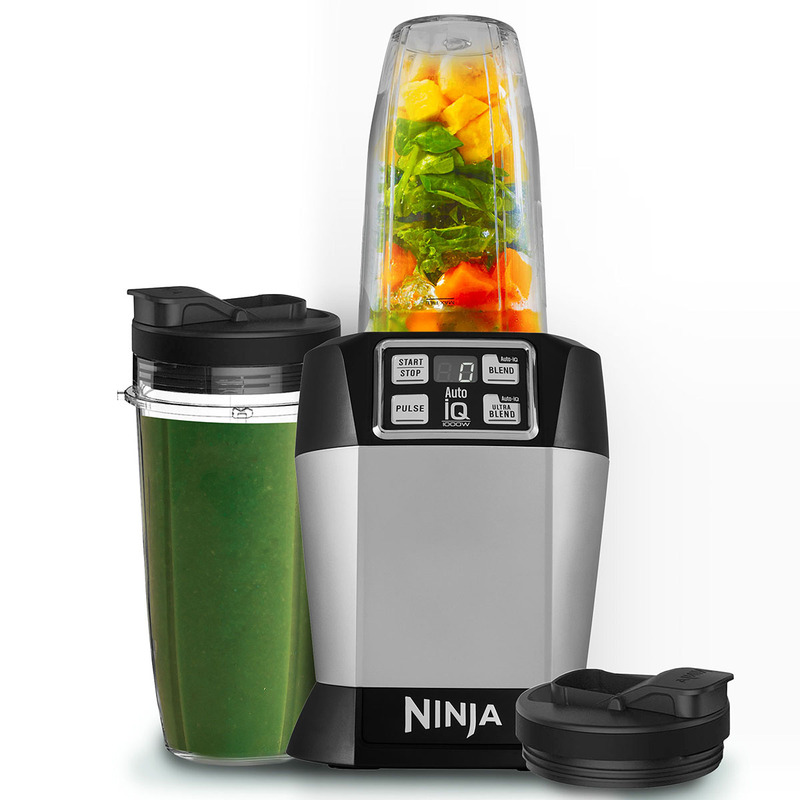 The Nutri Ninja Personal Blender with Auto-IQ has a 1000 watt motor. Yes, the blades are made with a high-quality stainless steel that is rustproof and dishwasher-safe. 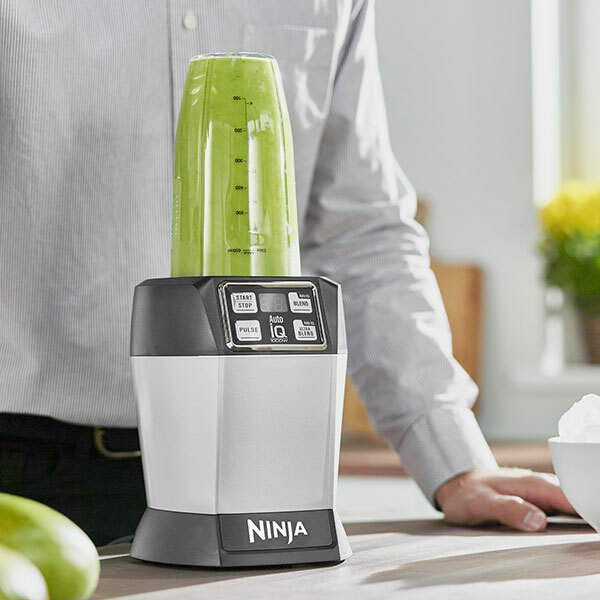 Can the Nutri Ninja® Personal Blender with Auto-iQ® handle frozen ingredients such as ice, frozen fruits & vegetables? Yes, the Nutri Ninja™ Personal Blender with Auto-IQ is a high powered innovative tool with a compact design and outstanding performance. 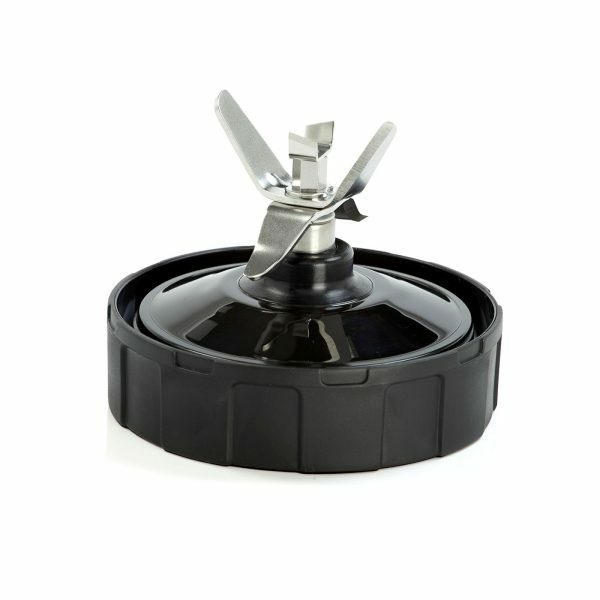 It is perfect for ice crushing, chopping, blending, and nutrient and vitamin extraction. Can you grind coffee beans? Yes, using the optional coffee grinder attachment you can grind beans. Are the cups BPA free? Yes, all jars are made with BPA free plastic. Can it blend hard seeds? 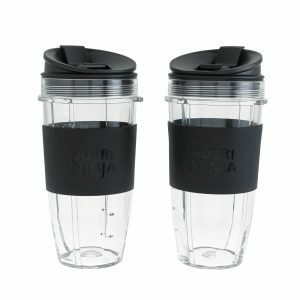 Ninja® Auto-iQ® Technology combined with Pro Extractor Blades® and Ninja® power break down whole foods, ice & seeds for nutrient & vitamin extraction** in the Nutri Ninja® Cups. Can it make nut butters? Yes nut butters can be made using short pulses. Some scraping of the nuts during the process maybe required to ensure the nuts are fully blended. Can I blend hot ingredients in the Nutri Ninja® Personal Blender with Auto-iQ®? No, the Nutri Ninja® with Auto-iQ® is not made for use with hot liquids or ingredients. What are the blades made of? Are the jars microwave safe? What is Nutrient & Vitamin Extraction? *Nutrient Extractor: Extract a nutritious drink from fruits and vegetables. **Extract a drink containing vitamins and nutrients from fruits and vegetables. 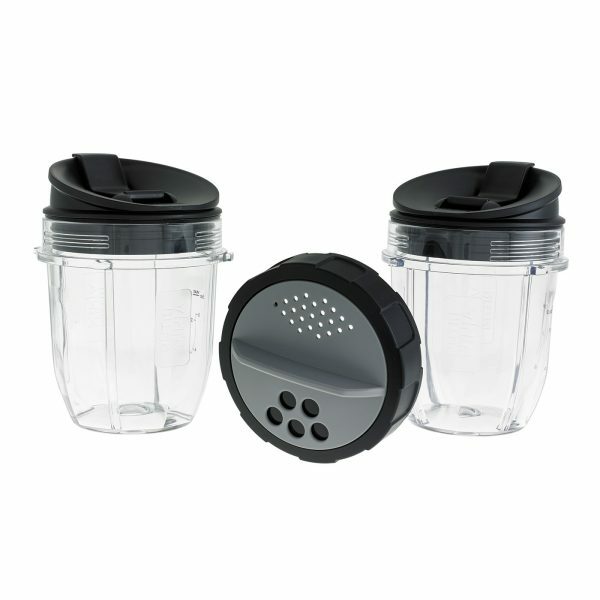 ***By blending whole fruits and vegetables, including portions that are usually discarded. Use a damp cloth to wipe the motor base clean. The cups, blade, and lids are dishwasher-safe, and it is recommended to put everything on the top rack. You can also squeeze 2-3 drops of dish soap into the jar, fill halfway with warm water and pulse, 5-10 times. For easiest cleaning, rinse or clean the cups and blades immediately after use. 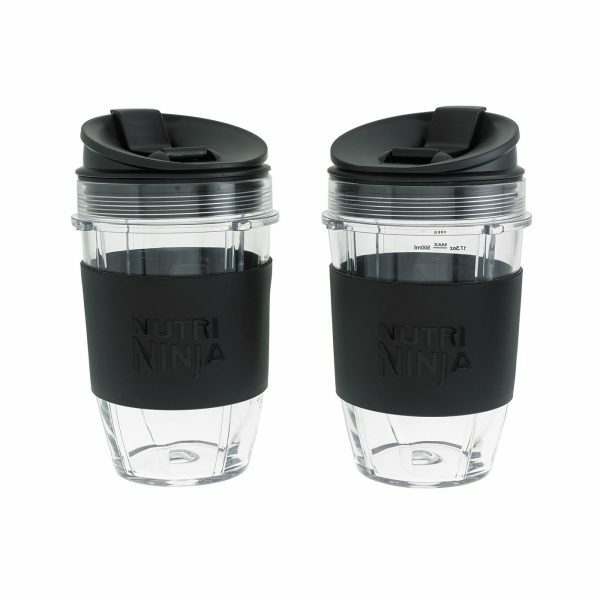 The Nutri Ninja® cups and blades are also dishwasher-safe. Use extreme caution when cleaning & handling the blades. Always store the blades attached to the cup or a safe area. Auto-iQ® Technology is one-touch intelligent programs designed specifically for each jar attachment. These intelligent programs combine unique, timed pulsing, blending and pausing patterns that do the work for you! Great results every time with no guesswork required! 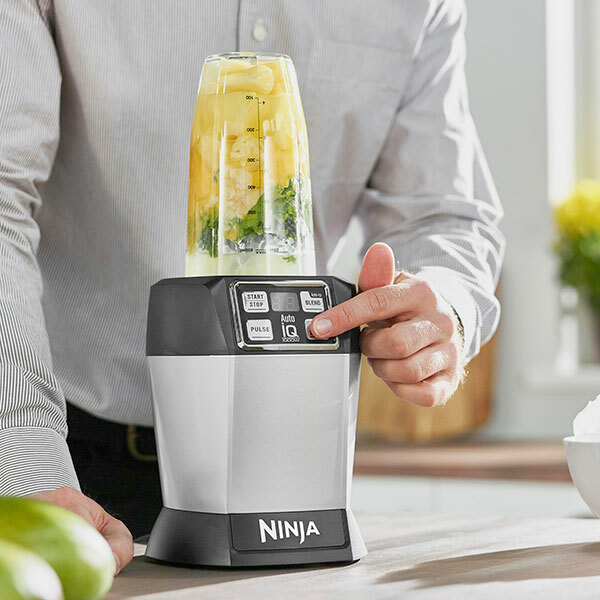 Ninja® Auto-iQ® Technology combined with Pro Extractor Blades® break down whole fruits, vegetables, ice and seeds for nutrient & vitamin extraction* using intelligent blending programs. Nutri Ninja Blender & Smoothie Maker with Auto-iQ 1000W – BL480UK – Silver is rated 4.6 out of 5 by 46. Rated 3 out of 5 by Gotuthgo from Great but only has a short life I've loved this blender for two years. I've made smoothies with it most days (without ice). It's had very light usage and after two years it stared smoking & smelling, a broblem stemming from the motor and out of warranty.... so now quite disappointed. Rated 5 out of 5 by Johanna from Powerful and handy little blender! I love this product and I'm going to give up my full-size blender at home. All the parts have very good quality feeling to them. The motor is powerful and fast enough to grind and blend anything I need. Very happy. The only downside is that it is rather noisy, but that seems to be the case with all good blenders. Rated 5 out of 5 by Polo from Just what I needed I bought this two weeks ago and is very good . It processed veg to make juices and ground up nuts. Rated 5 out of 5 by Addy01 from Very good for making protein drinks Has this blender now a few weeks to replace my old one, this is by far better than me old one for blending protein drinks with ice penut better will blend anything you Throw at it more than happy even got the stainless steel cup a few days after fast delivery too top quality blender great price and fast delivery well done guys an girl great service. Rated 5 out of 5 by Needsy from Excellent product and great customer service Absolutely love my Nutri Ninja. Use it everyday and it hasn't failed me yet. 3 years in. Spoke to customer service a few times and they were extremely helpful. I'll have a ninja for life. Rated 4 out of 5 by Jimijam from Easy to use Really impressed with the quality and how easy it is to use. It’s stylish look stands out in the kitchen. Really pleased with this product.